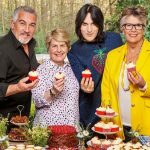 As we collectively ready and steady ourselves for the return of The Great British Baking Show which makes its way to PBS on Friday, July 1, here is a quick look at your final 6 contestants as a follow-up to our quick look yesterday at the first six. Yes, I do know who wins but no spoilers here so don’t even think about asking! 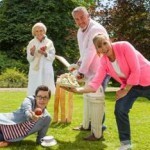 I can tell you that episode one is titled, “Cakes”. 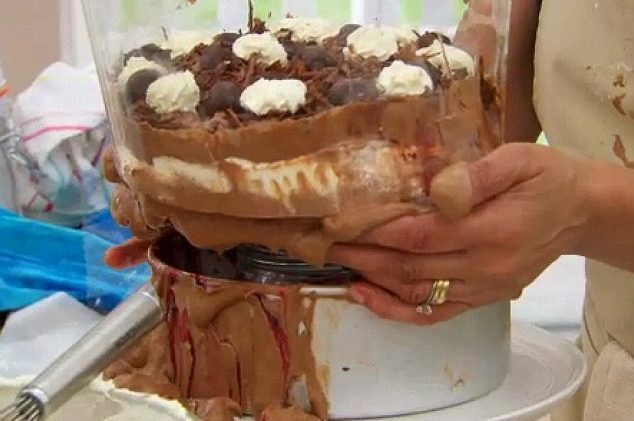 And, I will hint that there is drama in the baking tent from the outset and it involves a collapsing Black Forest gâteau which was part of the ‘final challenge’. I won’t say whose creation this was but it’s clear it quickly disintegrates into a pile of cocoa goo right before your eyes. Full-time mother of three Nadiya, who now lives in Leeds with her husband, is a full-time mum to their three children. 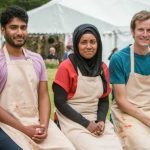 Born in Luton to a Bangladeshi family, she grew up wondering why her father only sold ice cream as a desert in his restaurant, as deserts aren’t a major mealtime in Bangladesh, so she soon got out a whisk to make her own after encouragement from a school home economics teacher to develop her skills. Having put her career on the back burner to raise her family and with their support, she now feels inspired to have her own adventure – and make them proud. Paul, who lives in Wales, has been a prison governor for almost a decade. Before that, Paul performed ceremonial duties at Buckingham Palace in the Coldstream guards. He sees being in The Great British Bake Off as “…an opportunity to show that men like me, stereotyped by our jobs do and can love baking and that it is a skill and talent to be proud of.” The Welshman no only enjoys exploring the countryside with his wife and three sons but takes great joy in learning intricate skills like sugar-work to make his bakes beautiful. Sandy is a child welfare officer who lives near Bradford. 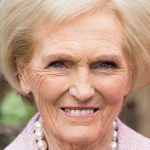 Describing her baking style bluntly, she said: “it might not be glamorous but it’s tasty”. In her job she helps young people with emotional issues. After work Sandy also volunteers at the school, running a cookery club where she teaches children from deprived backgrounds to bake on a budget. A mother of one, Sandy says that she bakes to show her family, friends and colleagues that she cares about them. Professional musician Stu has toured the world, and according to the photos, has a hat surgically attached to his head. Stu now lives in Surrey with his wife and two children and has been baking from a young age. The lead singer used to watch his parents in their restaurant and was always amazed by the magic of the oven and “…how something liquid could go in and out would come this fluffed up awesomeness.” Fascinated by the science of baking, Stu enjoys trying different flavor combinations, especially Middle Eastern spices. Originally from Lithuania, Ugne now lives in Essex with her partner and their two young children. Ugne works as a PA and administrator. Her main hobby may be baking but she is primarily a bodybuilder. Ugne learned to bake from her mother and grandmother who used Eastern European baking methods and utensils. She loves English baking and each day makes her family bread, pies and pastries but also likes to incorporate traditional Lithuanian flavors into her bakes to remind her of home. Ugne enjoys being ambitious with her presentation and ingredients – and isn’t afraid of the odd theatrical bake. She’s the one who said cake is a “nutritional sin”. Now you have it! 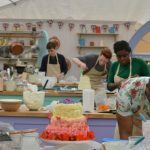 The scorecard for all 12 contestants of The Great British Baking Show on PBS. Remember, this is for pure enjoyment. No wagering please. 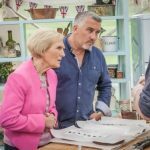 The Great British Baking Show returns Friday, July 1 at 9p ET / 8p CT on PBS!